This adult fairy-tale tells of a barren couple who, in an attempt to escape the misery of reality, build a solitary homestead in the bleak forest of 1920’s Alaska. Struck by fleeting frivolity they build a girl from snow, which is replaced in the morning by the child, wild and mysterious, that they have always wanted. Narrative devices skilfully play with the reader’s ability to discern fact from fiction and a consistent notion of the sinister makes this novel a haunting read. However, the extent of surrealism coupled with the detached solemnity of the narrative make the plot hard to embrace and not altogether enjoyable. 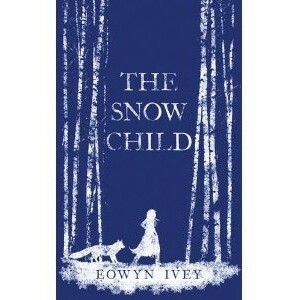 You are currently reading The Snow Child by Eowyn Ivey (Book Review) at booksbeccabuys.